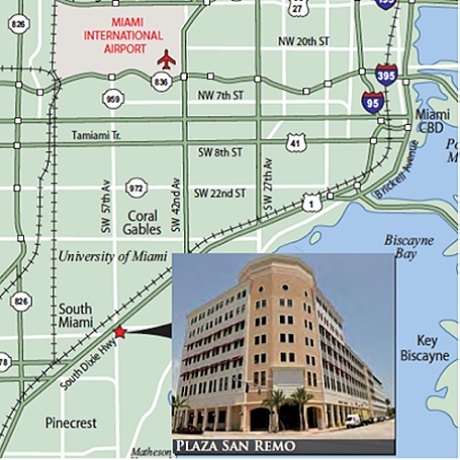 Dr. Peña is actually trained in GYN procedures with Robotic Surgery. 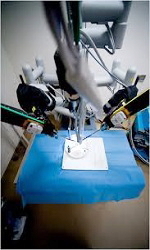 Robotic surgery or computer-assisted surgery are terms for technological developments that use robotic systems to aid in surgical procedures. 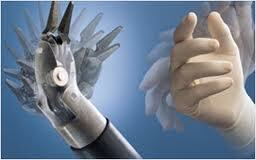 Articulation beyond normal manipulation and three-dimensional magnification helps resulting in improved ergonomics. Due to these techniques there is a reduced duration of hospital stays, blood loss, transfusions, and use of pain medication. 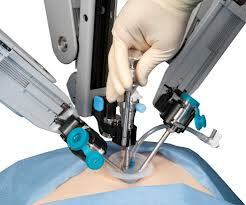 As technology advances, gynecological surgical options are expanding. The Robotic Surgical System allows our surgeons to perform complex minimally invasive procedures using a set of small incisions rather than a large incision.